Provide your plants with a breath of fresh air with Aerostar. 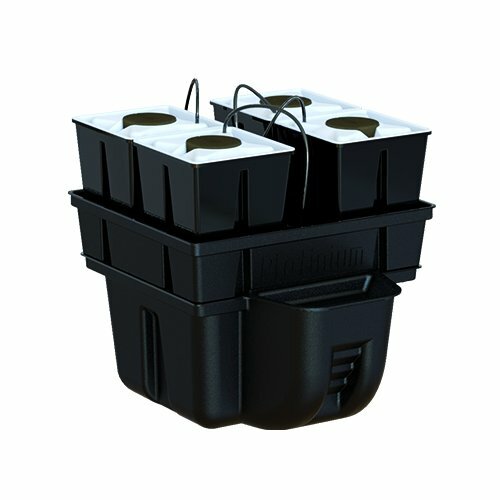 Its independent pots and 100% ABS aero plates supply include an anti-UV barrier and anti-light, preventing the development of algae. The tank contains 15 to 110L of nutrient solution, as well as ease of access with a detachable hatch. A graduated inlet enables you to quickly view the remaining water level and add more when needed. These systems come equipped with a xtrapump pump, irrigation ramp, and tubing kit including dripers and a 360° sprayers. Oxygen-filled nutrient solution can now be distributed throughout the root chamber.